Transport officials have been criticised for banning a photographer from taking pictures on buses, or inside bus shelters. The apparent policy was contained in a letter sent to a reader of Buses magazine, details of which are published in its March issue. In the letter, Transport for London (TfL) customer service advisor Miranda Crabtree is quoted as telling the unnamed enthusiast that ?photography is recommended and acceptable? when taken from a public place. However, Crabtree went on to say that photography is forbidden on TfL, or bus operator-owned, premises without prior permission. She added that this includes photographs taken ‘inside buses’ and ‘bus shelters’. In response to the furore, a TfL spokesman told Amateur Photographer that the advice was a mistake: ?The information given was incorrect. Clearly, we would not want to stop people taking pictures in bus shelters or on buses.? Dismissing the matter as a ?storm in a teacup?, the spokesman said Crabtree no longer works at TfL, though her departure was not the result of the advice given. 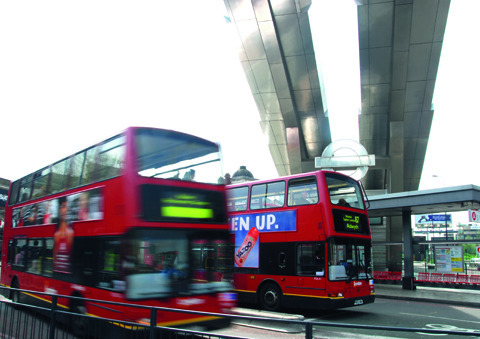 However, the spokesman stressed that people who want to take photos on TfL-owned bus stations, garages and bus stands, over a prolonged period, must seek prior permission from a ‘bus controller’ or other staff member. A ?quick-snap? would be acceptable, he claimed. TfL has pledged to write to the bus enthusiast concerned, to put them in the picture.